trices. They have short legs and four toes in a zygodactyl (two toes forward, two back) arrangement. Sexes are alike. 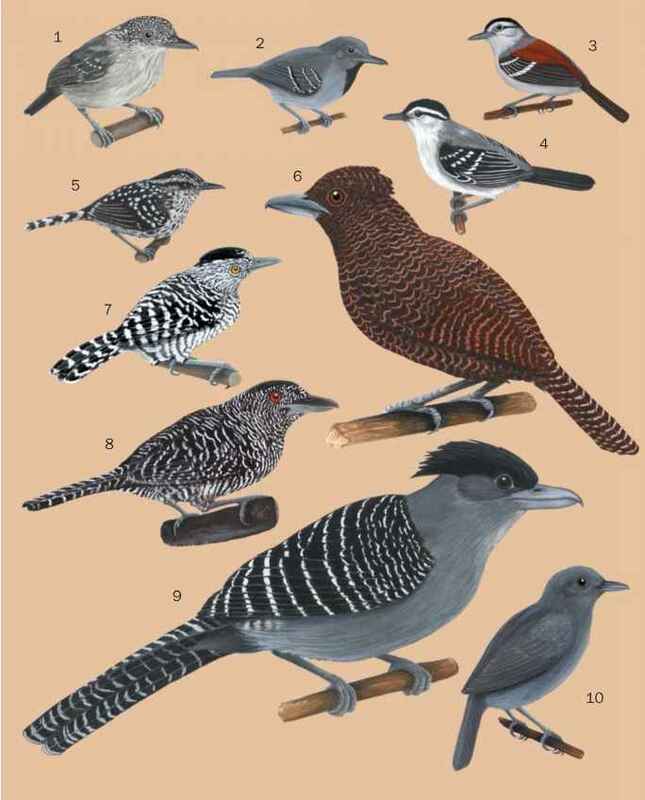 Piculets are like miniature woodpeckers, but tail feathers, though pointed, are not stiff and are not used for support. Piculet plumage tends to be soft, and brown and black dominate their color patterns. As with woodpeckers, the sexes are often distinguished by the presence of red on the head of the male. 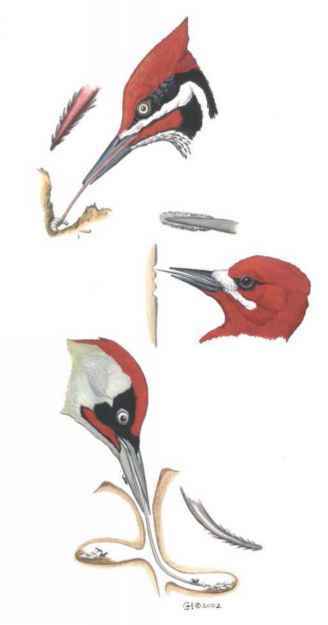 Also like woodpeckers, mechanical tapping on wood is sometimes used for communication. tree surfaces. Many species are crested, such as the pileated woodpecker (Dryocopus pileatus).